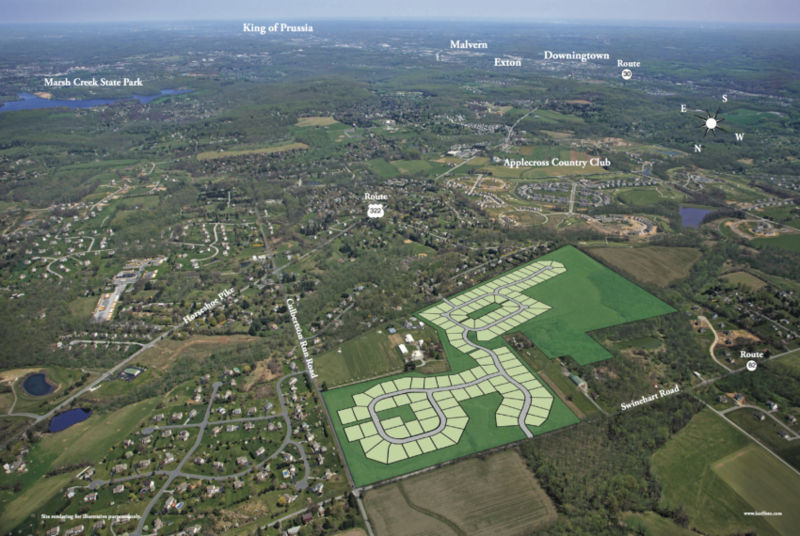 130 acre subdivision at the SE corner of Swinehart and Culbertson Run Roads, just off Route 322, in the Township of West Brandywine, Chester County, PA. It is approved for 113 single family homes. Easy access to Route 322 with sanitary sewer main in place. Each of the 113 lots are part of an HOA.